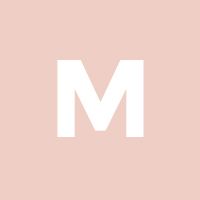 Oh my gorge! 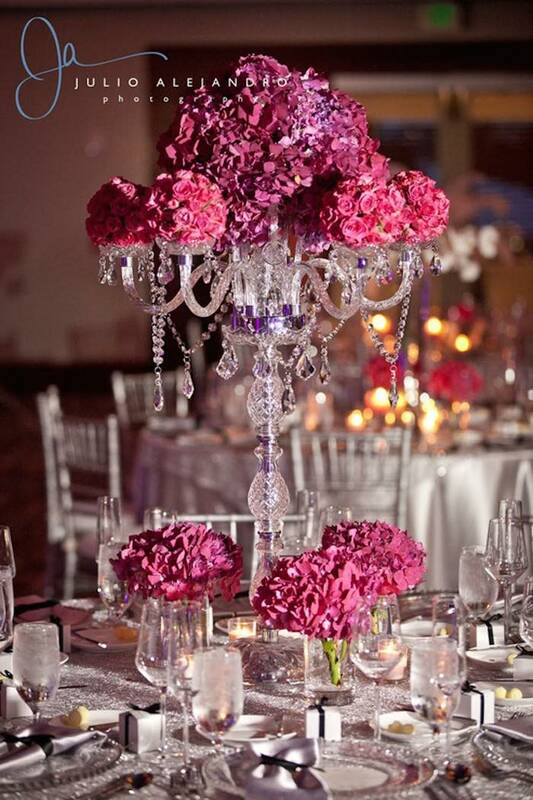 Glamorous wedding centerpieces are the center of attention at these absolutely beautiful receptions. 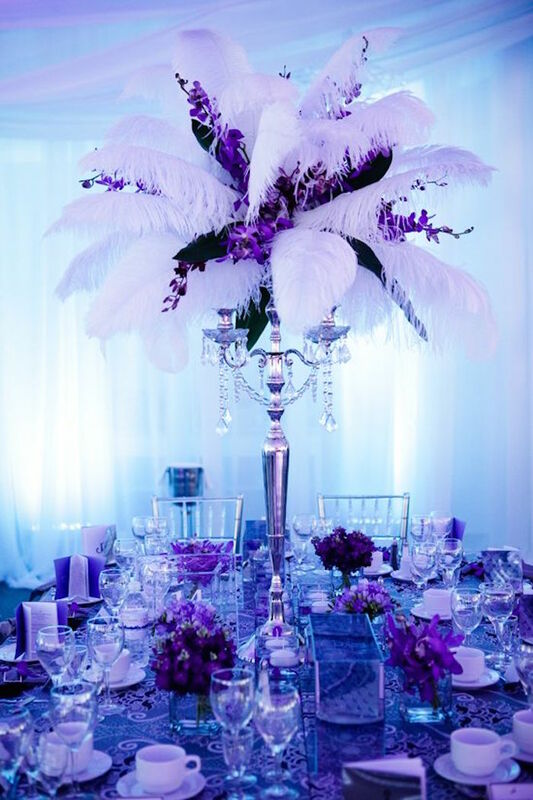 All of your family and friends will spend a huge chunk of time surrounding your reception tables, so you want to make sure the decor is exceptionally extraordinary. 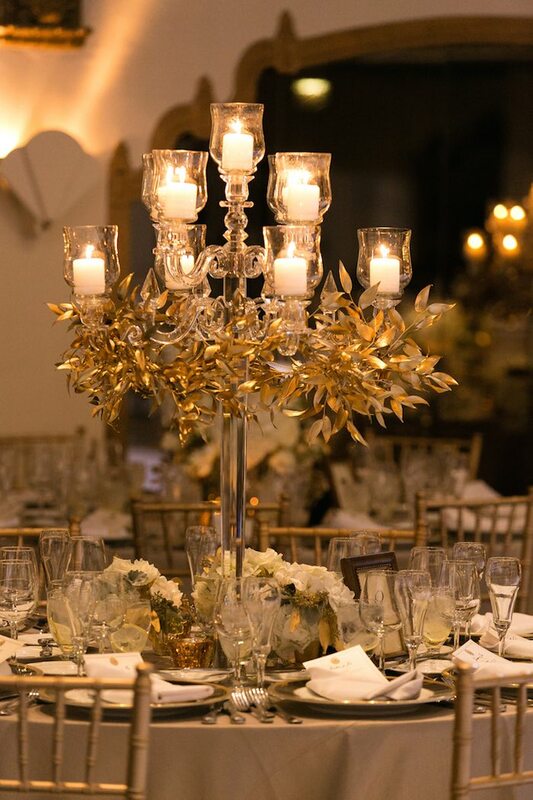 There’s tons of sparkle and beauty in these perfect glamorous wedding centerpieces. 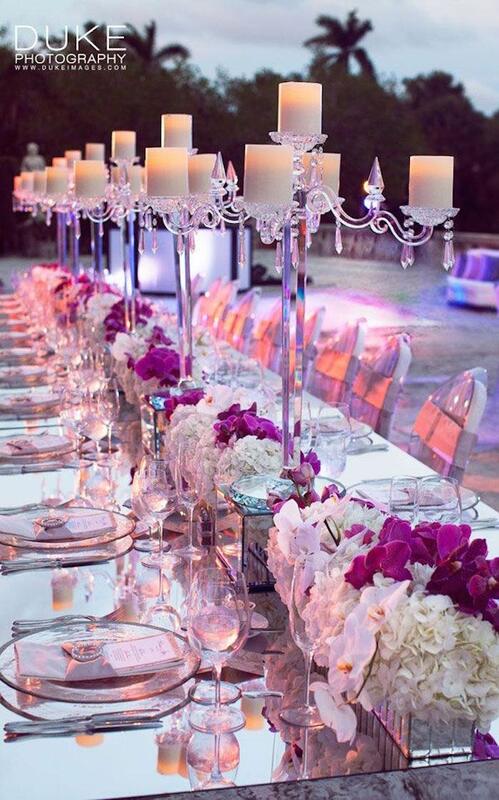 The florals, the crystals and the candles make these tables look so elegant. 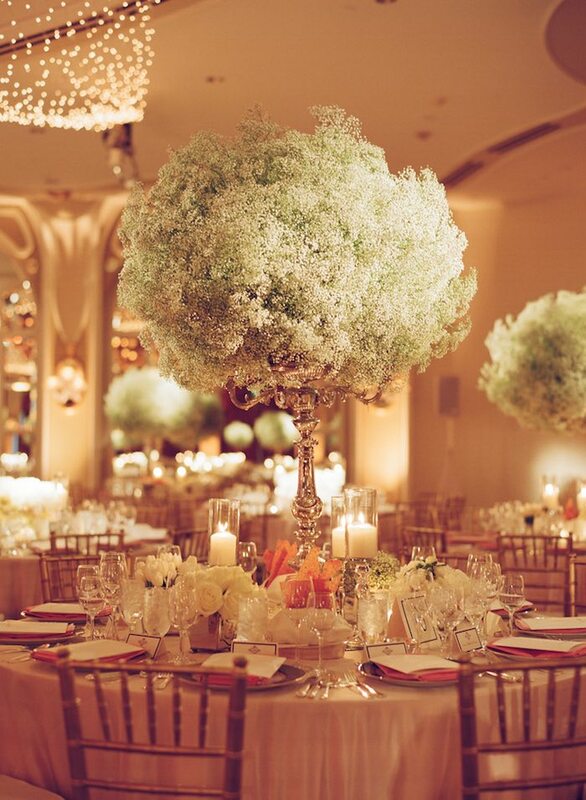 There’s no way you won’t feel inspired by this dazzling collection of centerpieces! 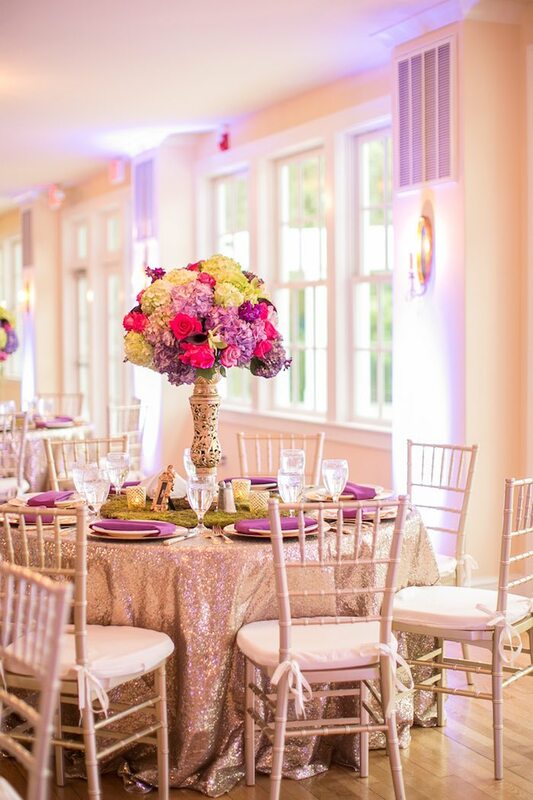 Have a look below and get some tips on how to create your own reception glam. 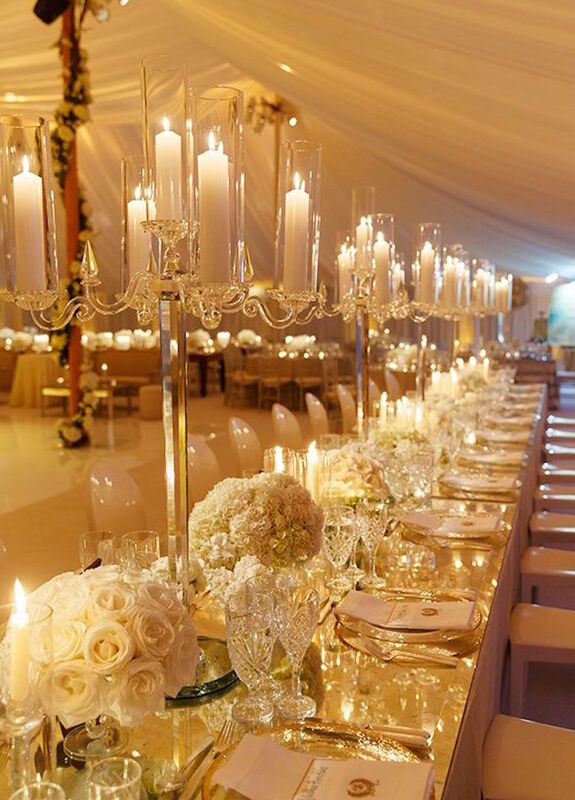 All of your family and friends will spend a huge chunk of time surrounding your reception tables, so you want to make sure the decor is exceptionally extraordinary. 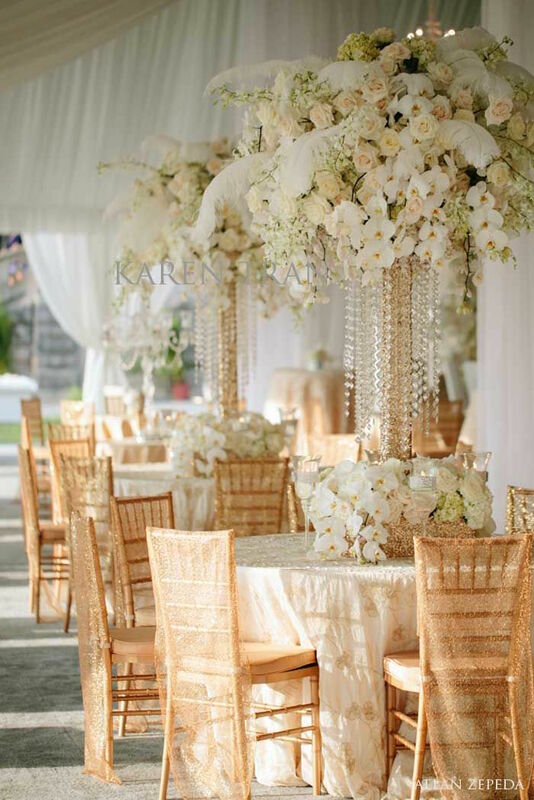 Using these sparkly gold chair drapes (below) and pairing them with an angelic ivory table cloth is just what you need to scream glamorous! 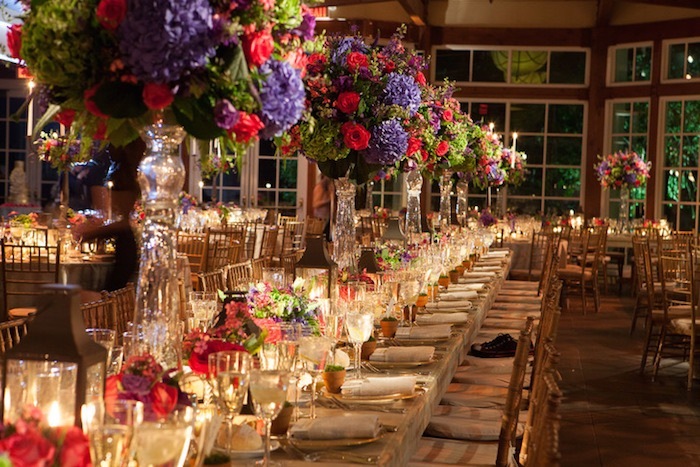 Having your color scheme already set makes it easy to find exactly what kind of table decor you want. 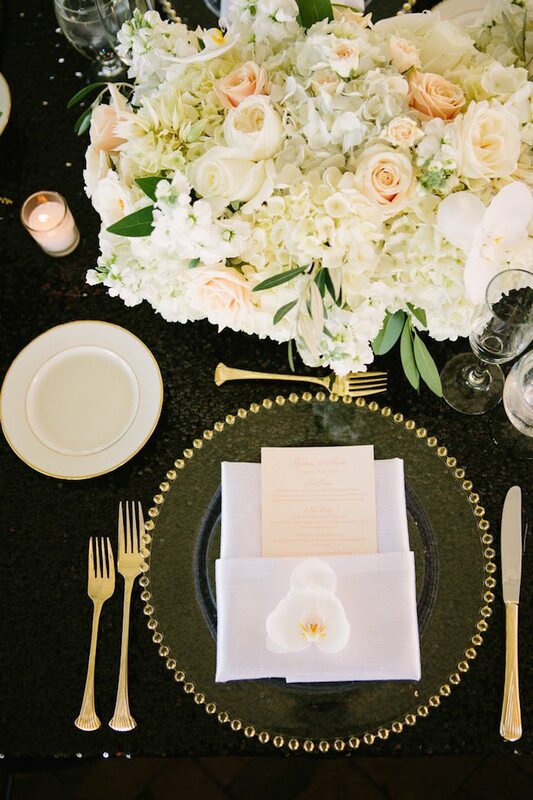 White and silver always shimmers, too. 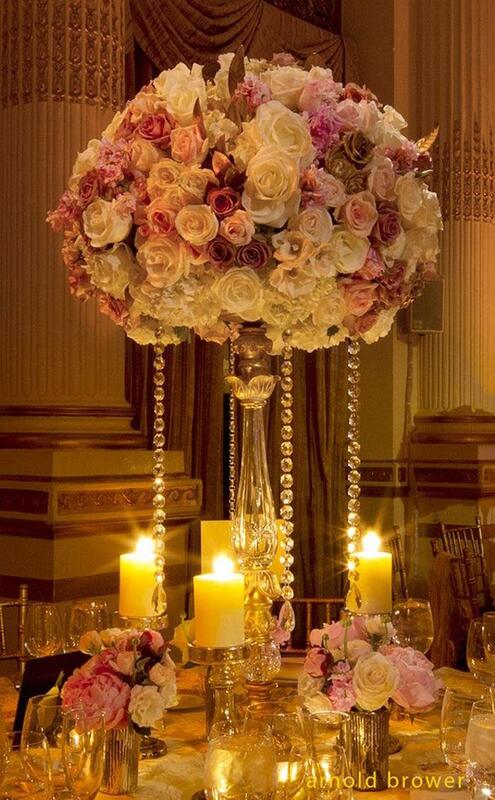 This centerpiece’s floral design blends right in, but still seems to shine! 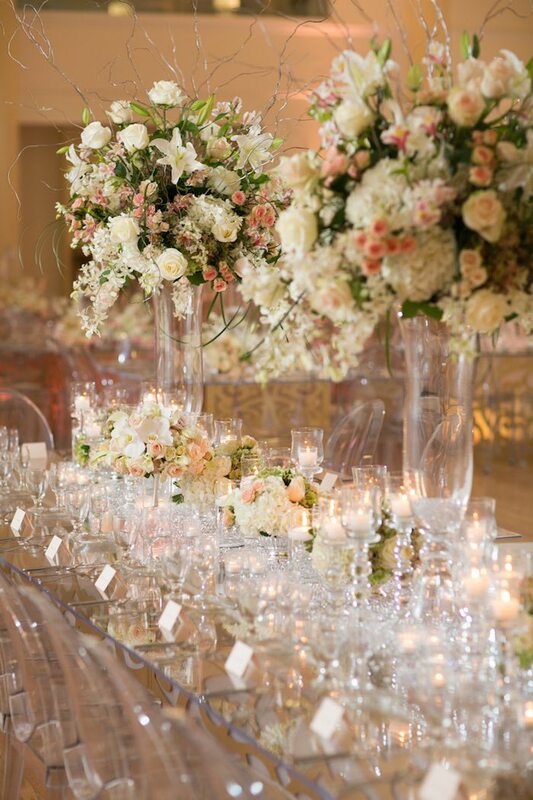 Florals are always necessary to make the table look as classic as ever, but the addition of pretty candles (above) makes the mood even more romantic! 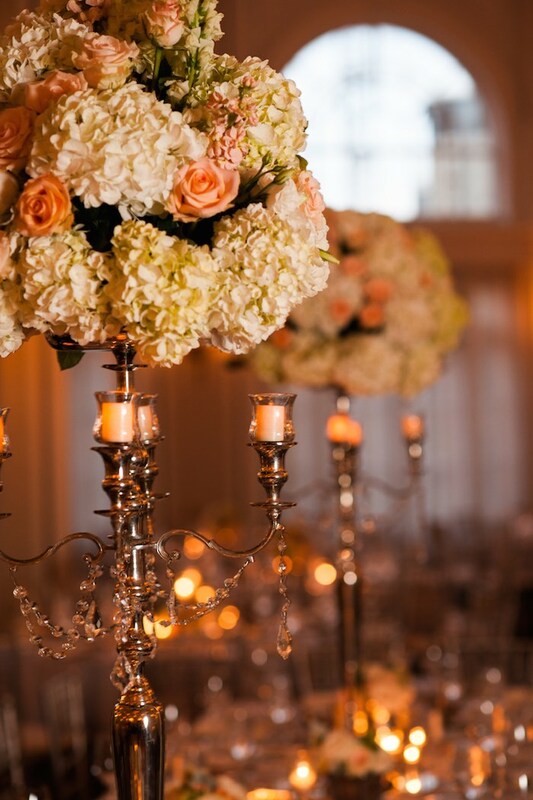 For a luxurious table setting, we recommend including glamorous wedding centerpieces such as gorgeous glass with reflecting candle light. 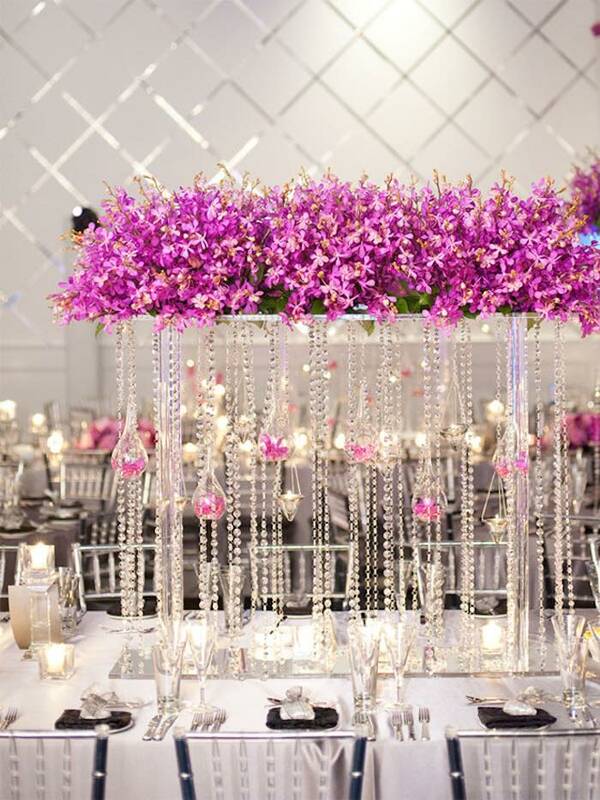 The dangling crystals also give off such a classy vibe for your wedding reception decor. 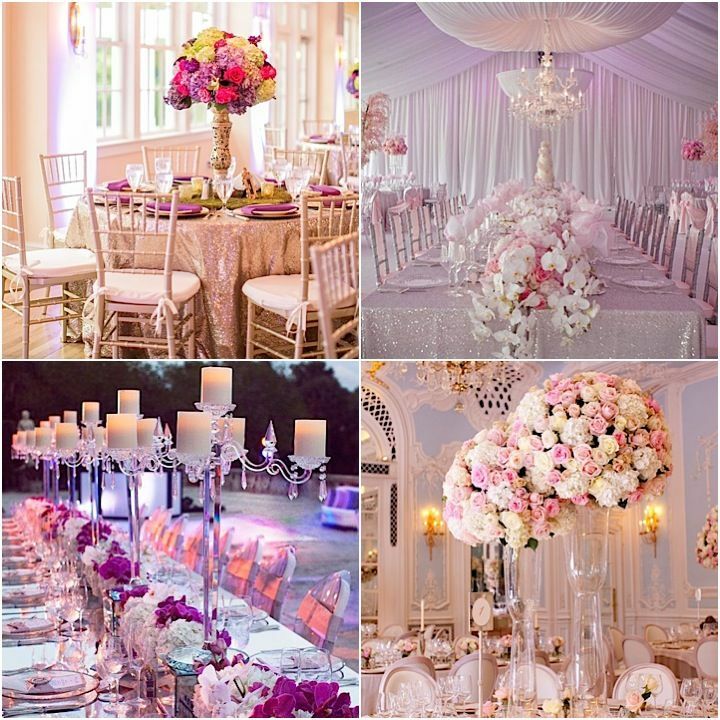 Pink is such a nice and traditional theme to include in your wedding reception decor! 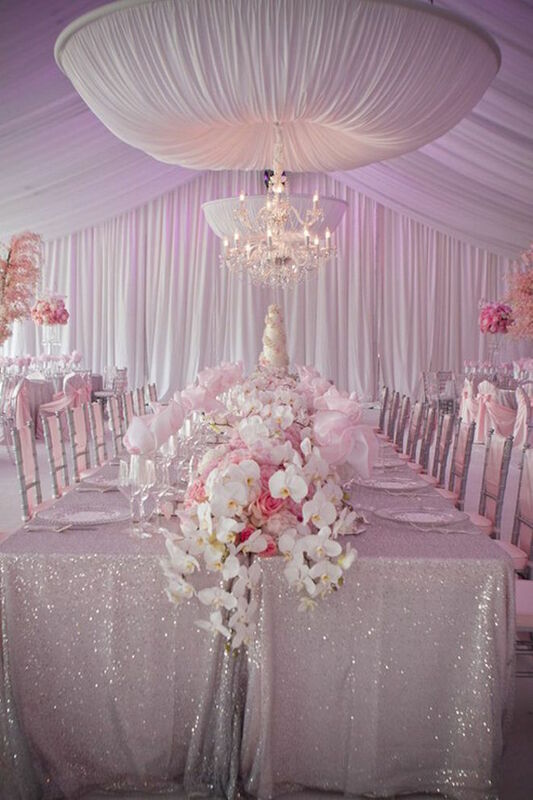 The beads, vases, and florals all together radiate with opulence and uniqueness. 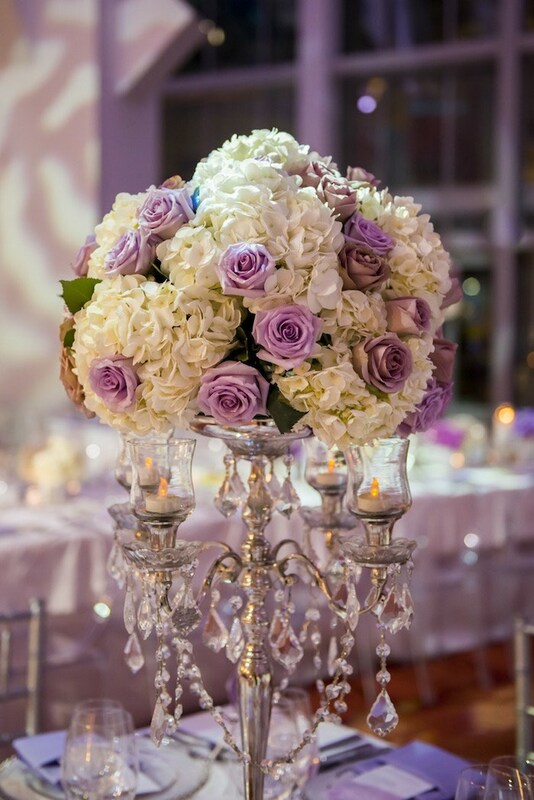 To keep it a little different, try having your centerpiece hanging above the table with gorgeous details dangling like in the image below! 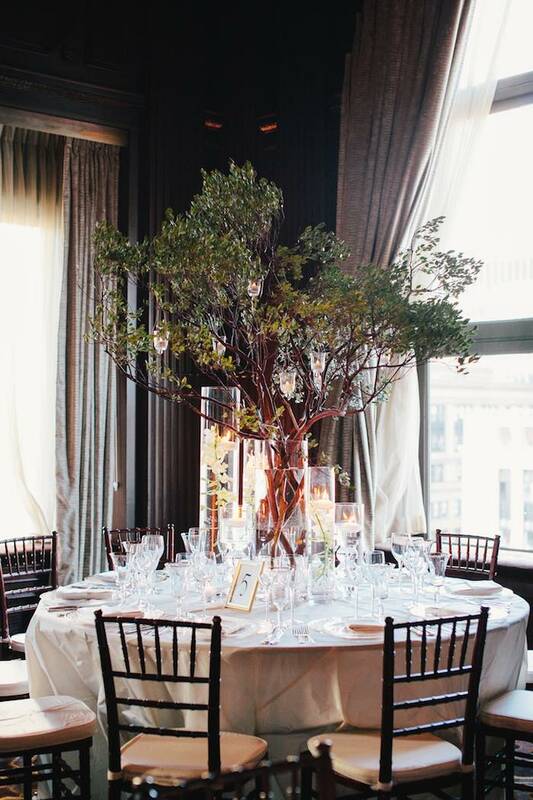 Remember to check the surroundings in your reception venue and make decisions based on the room’s design. 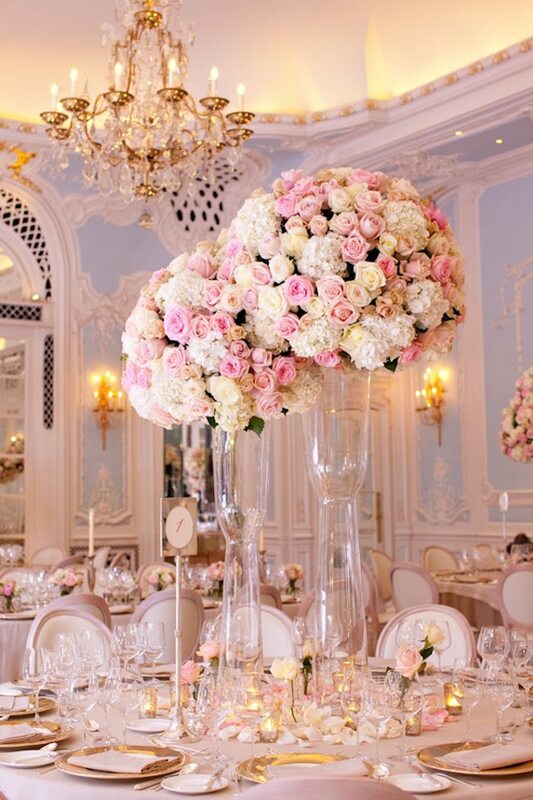 We’re so impressed by all of these glamorous wedding centerpieces. 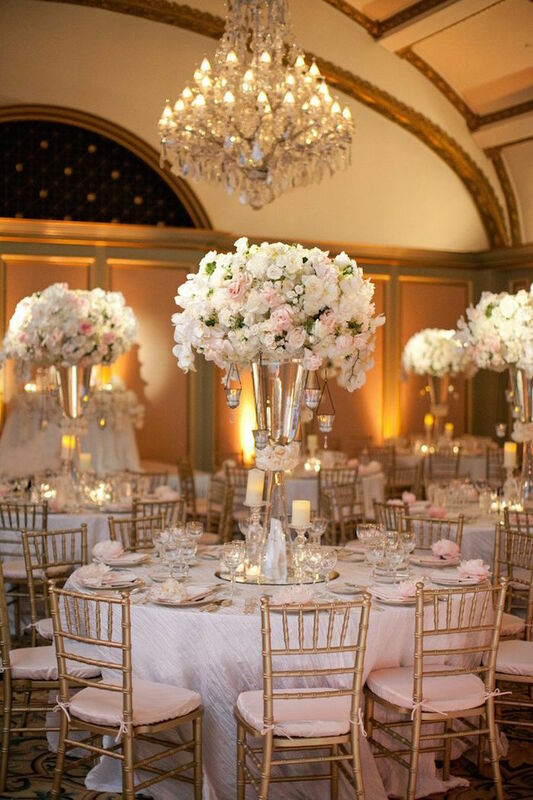 You can’t go wrong with tall and unique shaped vases and fresh floral designs in your reception decor. 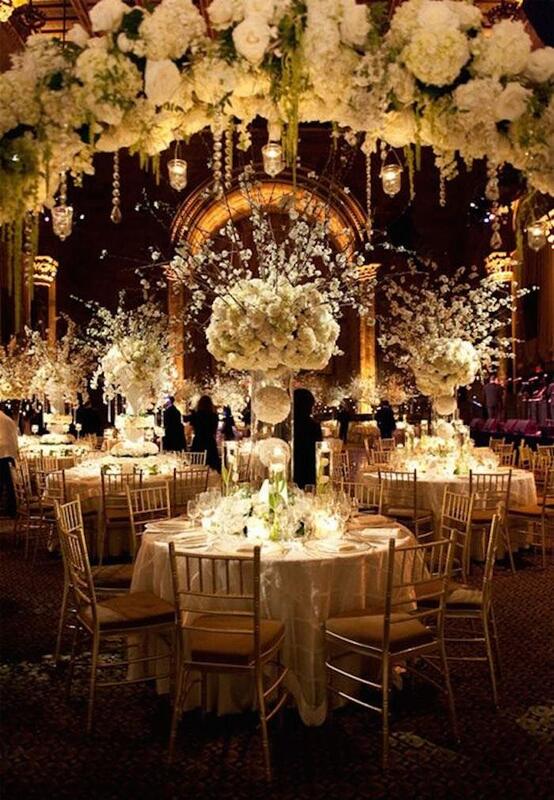 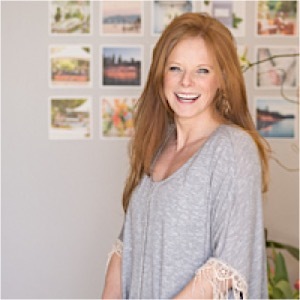 Just stay calm and confident in your event design choices and it will turn out beautifully!